In its landmark 2001 report, Crossing the Quality Chasm: A New Health System for the 21st Century, the Institute of Medicine recognized the “enormous potential” of technology to improve health care. Indeed, of all the changes sweeping throughout healthcare in recent years, perhaps the most revolutionary has been health information technology (HIT). One area of explosive growth within HIT has been electronic health records (EHRs). The U.S. Department of Health and Human Services noted in May of 2013 that the use of EHRs by doctors and hospitals more than doubled from the previous year, with Massachusetts one of the heaviest adopters. Statistics from the Office of the National Coordinator for Health IT show that 71 percent of physicians and 80 percent of hospitals in the Commonwealth have adopted EHRs. Yet, 14 years after the IOM’s report, after billions of dollars spent in federal incentives, and despite skyrocketing adoption, physician acceptance of EHRs appears at best, a mixed bag, at worst, a struggle. Recent efforts are instructive. Separately, on September 16, the American Medical Association called for an overhaul of EHR systems. 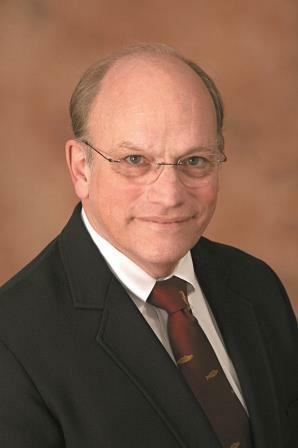 “Today’s current EHR products,” said AMA President-Elect Steven J. Sack, M.D., “are immature, costly, and are not well designed to improve clinical care…. The usability of EHRs is a significant driver of physician professional dissatisfaction and a challenge to practice sustainability.” AMA then outlined eight priorities for improving EHR usability to benefit caregivers and patients. Frustration and dissatisfaction with electronic health records among physicians had surfaced well before the AMA pronouncement, and complaints about EHRs have been increasing as well. The inability of different systems to communicate easily with one another – the “interoperability” issue – remains a drawback. Perhaps most unsettling, however, is the reality that hazards and risks remain, as the promise of widespread and reproducible gains in patient safety has yet to be fulfilled. Here in Massachusetts, electronic health records have captured physicians’ attention for quite another reason. Chapter 224, a law passed in August 2012 that outlined phase two of health care reform for the Commonwealth, included a provision that required physicians to demonstrate “meaningful use” proficiency (which only applies to Medicare and Medicaid) with EHRs as a condition of licensure. That mandate is to become effective on January 1 of next year. Without proper interpretation, the law as written could have had severe unintended consequences by disenfranchising over half of the state’s licensed physicians. Now here’s the good news: The Board of Registration in Medicine has proposed regulations that include a broad set of exemptions for certain license categories. The Board’s proposal also establishes multiple ways in which physicians could comply with the requirement. The Board has posted its draft regulations and is accepting comments on them through Friday, October 3 at 5 p.m. MMS offered testimony in strong support of the proposals at the public hearing on Monday, September 29, and I encourage members to add their comments as well. Comments may be submitted via email to Eileen.Prebensen@state.ma.us All comments become public records and will be posted to the state’s website. MMS has advocated on this issue since the law was passed two years ago, raising the specter of severe disruptions in physician practice and patient access to care. We are now near a resolution that is advantageous to both physicians and patients. The Board’s proposal, which addresses all of our major concerns, represents a reasonable, prudent approach to complying with the law, easing physician concerns, and maintaining access to care for patients. While physician frustration with EHRs is high, it is important to distinguish between problems of technology and problems of policy. Technological issues are likely to be worked out over time, if only by continued physician persistence and outcry for solutions, as demonstrated by the AMA. Policy issues, as shown by the Board of Registration in Medicine’s common sense approach to fulfilling the requirements of Chapter 224, are more readily capable of resolution. Reaching that potential, however, will require the strong voice of physicians. Whether the issue is one of technology or policy, our local experience has shown how important it is that physicians participate in the conversation. I urge you once again to review the draft regulations and send in your comments. This entry was posted on Friday, September 26th, 2014 at 7:39 am	and is filed under Board of Medicine, Electronic health records, Electronic Medical Records, Health IT, meaningful use. You can follow any responses to this entry through the RSS 2.0 feed. Both comments and pings are currently closed. Exemptions for EHR competency should NOT be given to administrative physicians. They are involved in making the rules and should not be exempt from their requirements. Volunteer physicians will need to be able to use EHRs to some extent in order to function. Military Physicians (speaking from personal experience) already use EHRs and should be considered competent. Meaningful use is NOT very meaningful (yet) as you well know. The EHR reduces productivity by 35% and adds 3 plus hours per week in mouse clicks for a physician. This is time which could be better spent caring for patients. None of these platforms are intraoperative with each other. The EHR is a billing and convoluted legal morass filled with often erroneous, redundant and often irrelevant information. It is pretty good for writing prescriptions, but still much slower than printing them out. Until these weaknesses are remedied the MMS should not be so eager to enthusiastically to endorse these regulations. Rather we should work with BORIM to amend them.